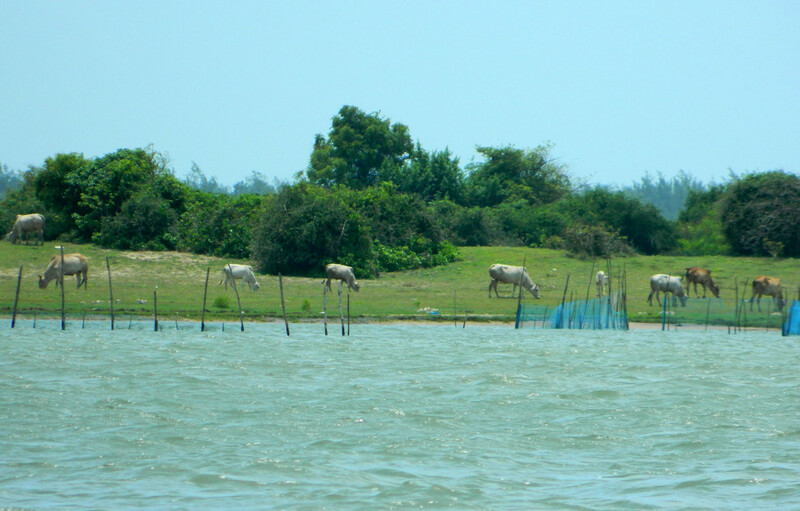 Chilka Lake is the largest coastal lagoon in Indian subcontinent and second largest in the World. 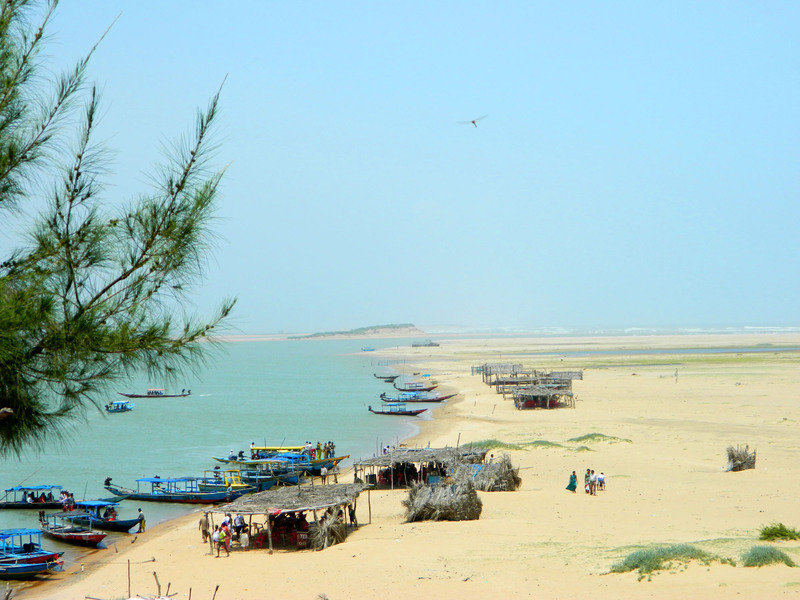 Spread over 1100 square kilometers this Lake covers three districts (Puri, Ganjam and Khurda) of the state of Odisha. Odisha is the neighbour state of West bengal therefore it is not too far from my hometown. It took almost 7-8 hours by Train to reach Puri, which was our actual destination and I never thought that I am going to visit Chilka Lake as well! 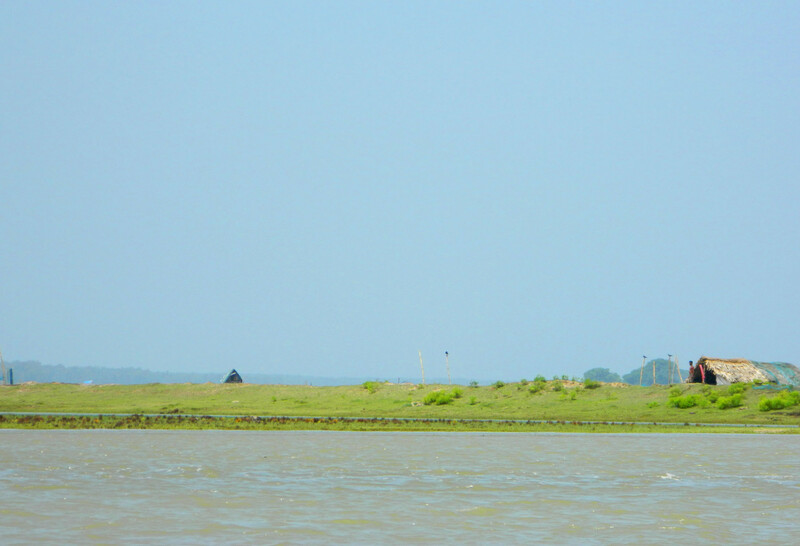 It was almost an hour of driving from our hotel at Puri beach to Chilka Lake. There are a lot of cars available for hire. Take one and get going. When I first saw the place my face was like a comical :O, it was a huge lake, I could not make out the end of it. Here and there some island-like sandy greenery can be seen. Wind was blowing like mad. The Lake was not deep though. 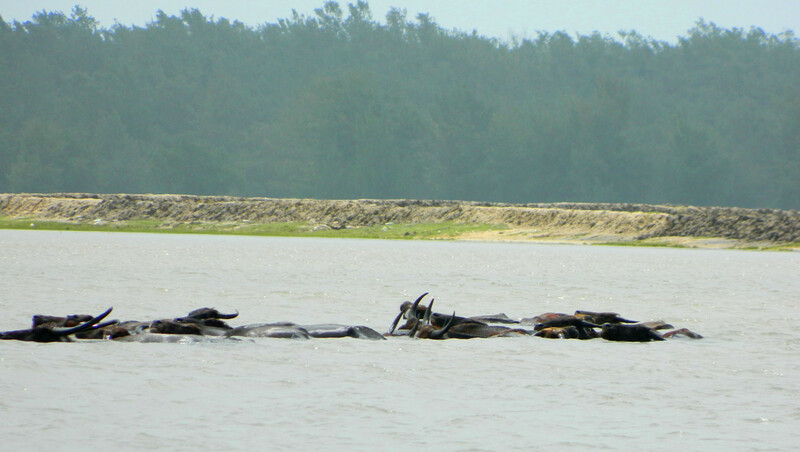 You will occasionally see some buffaloes or cows crossing the Lake, or taking a bath. 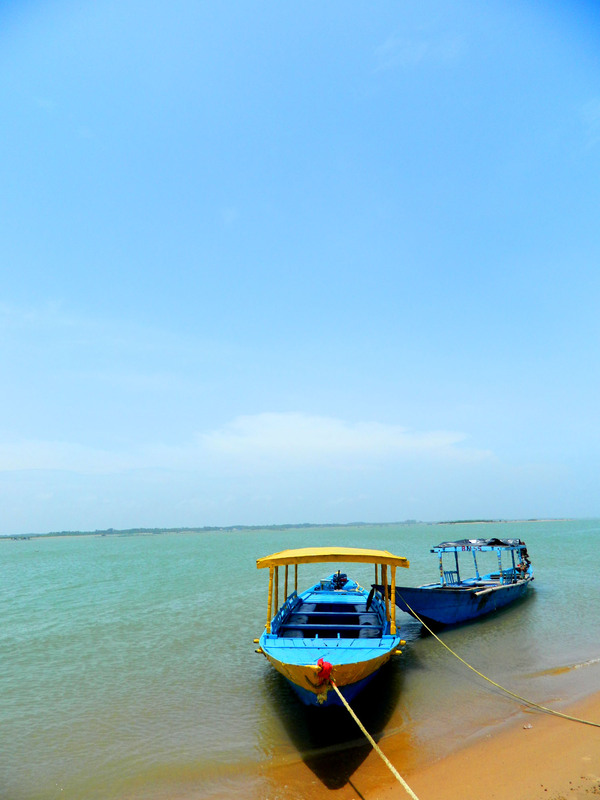 You can hire boats on hourly basis for your further exploration. if you are planning to hire the boat for more than 2 hours please remember to buy something to eat or drink before starting your adventure Travel. There are very little option (actually no option) to eat once you are inside the Lake. Let me tell you one thing, and remember this. You will see a lot of advertisement at Chilka travel agencies and they will show you a lot of photographs of Dolphins jumping out of the Lakes etc. etc. Let me make this clear, “You will never see that sort of thing here.“ Occasionally you can see a Dolphin’s nose or tails but that’s all. So if you are going there to see Dolphins, you will definitely be disappointed. Migratory birds are the most famous attraction in this place. It was unfortunate for me as I did not know anything about it and missed it! It was August when I visited that place. They comes and stays around winter season. 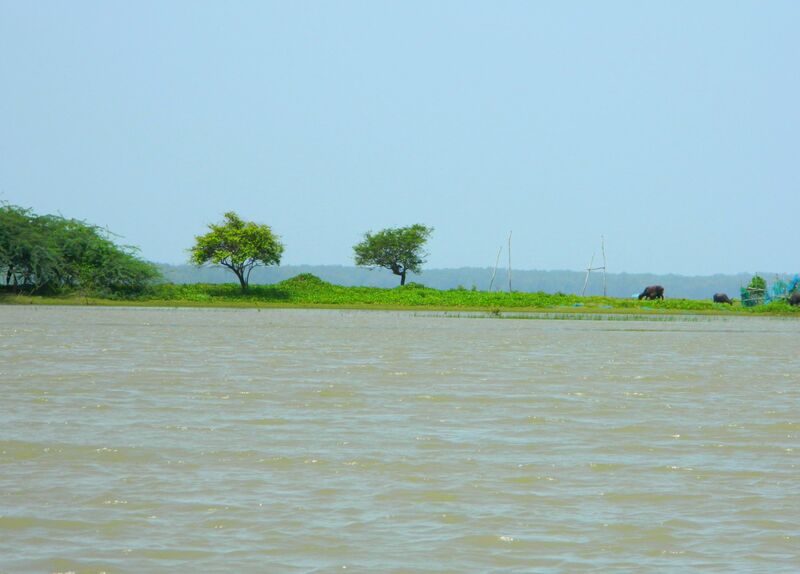 So winter will be the best season to visit Chilka Lake to get the most of it. On the island, you will get some stalls where you can buy some foods. You will also find some hotels which will serve you fresh fish, crabs, lobster coming directly from the Lake itself. 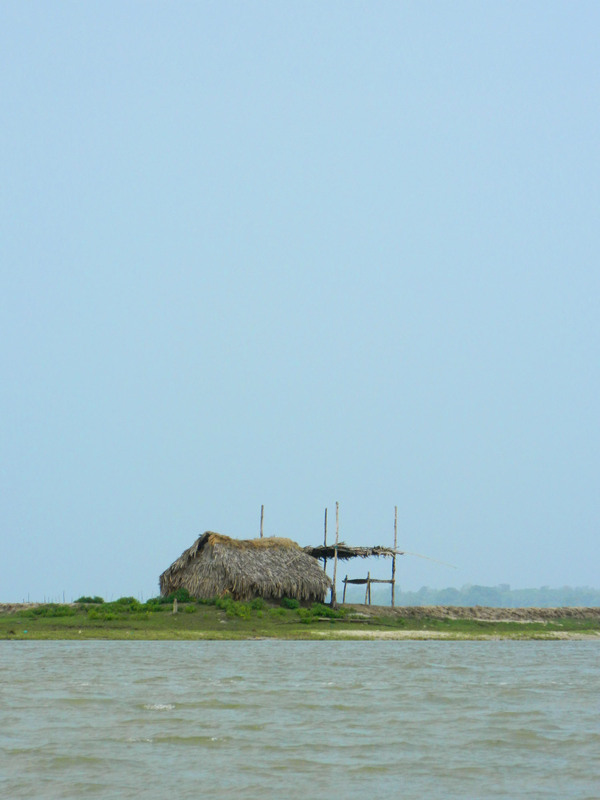 The Sea Mouth, where the Lake is going into the Bay of Bengal, is a must see place. But most of the boatman will not be agree to take you there. They will tell you different stories about how dangerous it is etc. etc. But try to convince them, as we did for out boatman (he was a good man though, did not charge extra, whereas some of them can charge you extra for the trip). Believe me it is worth seeing! I felt those four hours passed like four minutes for me. A perfect day at a perfect place. Is there more good things to do than eating and traveling in holidays? 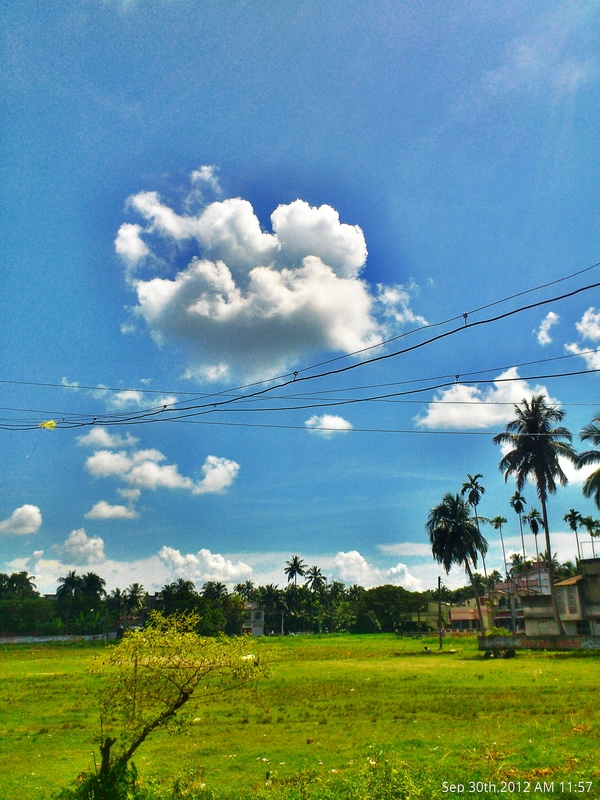 A snap from our small village. This is our school playground, I have a lots of memory there. I simply love this place! Really miss it! Do you love interesting stuffs in Designing? Please have a look at this website. I am sure you will like it!